British Prime Minister Theresa May was due to meet with her cabinet on Monday to discuss the next steps towards Brexit. The meeting came after a politically-charged weekend in which over a million anti-Brexit protesters marched on London and May held talks at Chequers with ministers. MPs were also set to debate a number of amendments — possibly even alternatives — to the current government plan. But it also followed rumours in Sunday's newspapers that senior Conservatives had been planning a coup to oust Theresa May. However, there appeared to be a shift in that theory by Monday morning and many of the people named in the alleged coup attempt spoke out in support of the Prime Minister. Environment Secretary, Michael Gove, said it was not the time to change leadership. David Lidington, who is Theresa May's de facto second in command, also said he did not have any ambition to be prime minister. "One thing that working closely with the prime minister does is cure you completely of any lingering shred of ambition to want to do that task," Lidington said on Sunday. 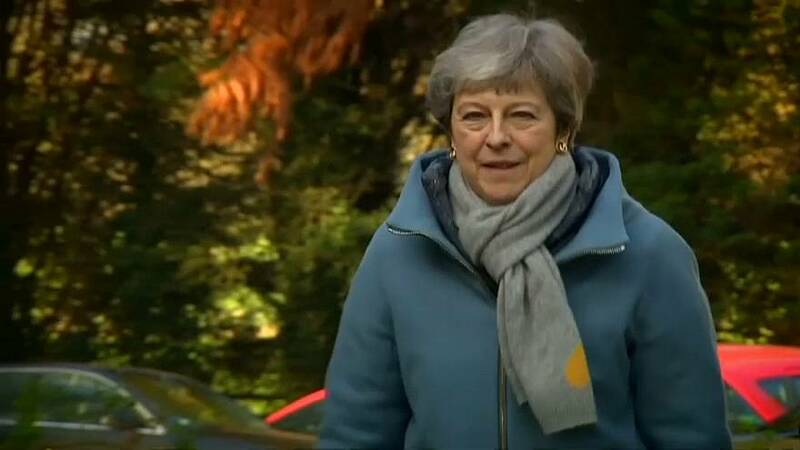 Euronews' reporter in London, Tadhg Enright, explained that May then tried to stamp her authority over the process again. "She summoned some of the leaders of the hard Brexit faction of her party to her country estate for some talks," said Tadhg. "Clearly the coup would have been on their minds but she wanted to talk about the next steps and getting her deal ratified. "Many of them saying they wanted her to set out a timeline for her ultimate departure." It will be a busy week — there could be a third attempt at getting the withdrawal deal approved. If that happens then Brexit will be delayed until 22 May. If it doesn't happen, then all options remain open until 12 April. But, as the law stands, the UK must leave by 29 March, so MPs would first have to change that law.